There are many ways to optimise your website for search engines and I’m going to spend the next few articles in this ‘SEO Made Simple’ series explaining the most important elements, starting with ‘on-page’ optimisation. ‘On-page’ literally means the optimisation of the pages on your website. Each individual page can be optimised for specific terms that will be found in the search engines. For example: If you were into buying and selling antique teapots, you could dedicate a separate page for each different type of teapot. You could have pages for china, porcelain, ceramic, European, Asian or as many as you want. The key is knowing what to work on and being consistent. The most important consideration with on-page optimisation is what’s known as ‘keyword density’. This how often the keywords you want to the search engines to list your page under appear in the page and is content. The first thing to look atis the specific key words you want to optimise for. 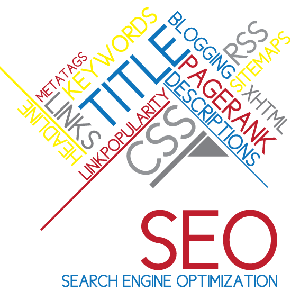 Typically you will have one or two key phrases that a page on your site can be optimised for. You could optimise the whole site on just a small number of keywords but then you wouldn’t predict which page would be ranked highest in the search engines. So let’s use the teapot example: we’re going to build a page about 19th century china teapots. To begin with, we want the key phrase ’19th century china teapots’ in the title tag of the page. That’s the bar right at the top of the browser. The key phrase also needs to be in the page’s meta tags, description and tags. Although Google really doesn’t pay much attention to them these days, other engines such as Yahoo and Bing still look at them. However, by far the most important element is the content. The words on the actual page need to contain a generous helping of the key phrase. However, you need to make it so that it’s readable for the page visitors. If the page is nothing but keywords and makes no sense to site visitors then it’s as good as useless. Also, if the search engines think you’re doing what’s know as ‘keyword spamming’ they will penalise your whole site and de-list your site from the search engine altogether. Something that could be useful is if you have a link on your website to the page then the link text (known as the ‘anchor text’) needs to be your key phrase. Other secondary considerations are things like bold and italic text for your keywords, e.g; 19th century china teapots or 19th century china teapots. This highlights the keywords to site visitors but also to search engines too. You should also include the keywords in section headers, preferably using what’s known as ‘header tags’ (this tells the browser what type of text the words should be). Putting all of these things together takes a bit of thought but if you’ve included all of this and have written good content then you’ll have a well optimised page. N.B. at Buswebs we always build complete on-page optimisation into every page on every site we build. Contact us if you’d like to know more or give us a quick call on 0116 3552194 to find out how we can help.